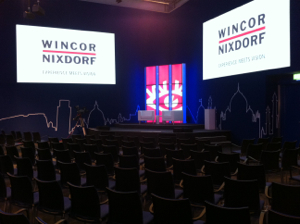 With more than 7.000 visitors from 90 different countries attending, this year’s Wincor World 2012 at the new location in Rheda-Wiedenbrück was a great success. 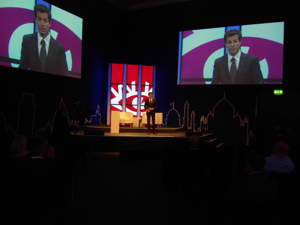 For three information packed days, international and renowned speakers from all over the world held presentations on the stage in the forum. I had the privilege of presenting the speakers and guiding the audience through an exciting program, organized and directed by the excellent team from Head of Event.